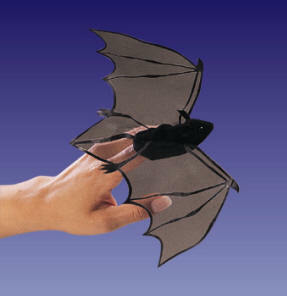 This little bat puppet spreads skin-thin wings, ready to take to the sky on the tip of your finger. With silk-screened detailing and beady black eyes, this aerial "rodent" will make a fine specimen to add to your finger puppet collection. Measures 10" wide.